While Raonic tried all his techniques – booming serves to powerful shots, but unfortunately, Murray’s skills and fitness won out in the last. Below are given some of the channels, websites or radio broadcasts. Recently BBC, which was the official live stream channel of AO League, returned their contract to the authority to cut their budgets and air other numerous sporting events. Previously they streamed Andy Murray’s finals AO finals in 2013 and 2015. Though BBC will still be airing the highlights of the finals. 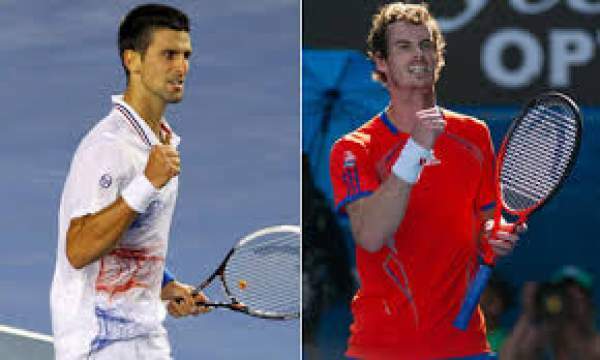 Watch women’s finals between Saturday 1 P.M to 2:30 P.M on BBC One, and that of men’s finals (Murray vs Djokovic) on Sunday between 2 PM to 3:30 PM. Eurosport is the only live telecaster available in the United Kingdom, watch live coverage on Eurosport 1 and highlights on Eurosport 2. The easiest way to live stream this match is via Channel Seven’s free new live streaming service. Channel Seven has now allowed live stream of any sporting event (including Australian Open) on its three main channels Seven, 7 Two and 7Mate. Just visit this link. They do have some blackout events but don’t worry, Australian Open is not one of them. Just head directly to the 7Tennis website, you would find Murray vs Djokovic live streaming with ease. A live stream is also available directly via the Australian Open website. You can listen to Ball by ball commentary on AO Radio . Twitter is a no exception in this 21st century, just like live stream, there are live tweets available. And no one does it better than @ByTheMinTennis, providing realtime tweets on every game over the social media hub. Plus they also have a blog streaming events live.